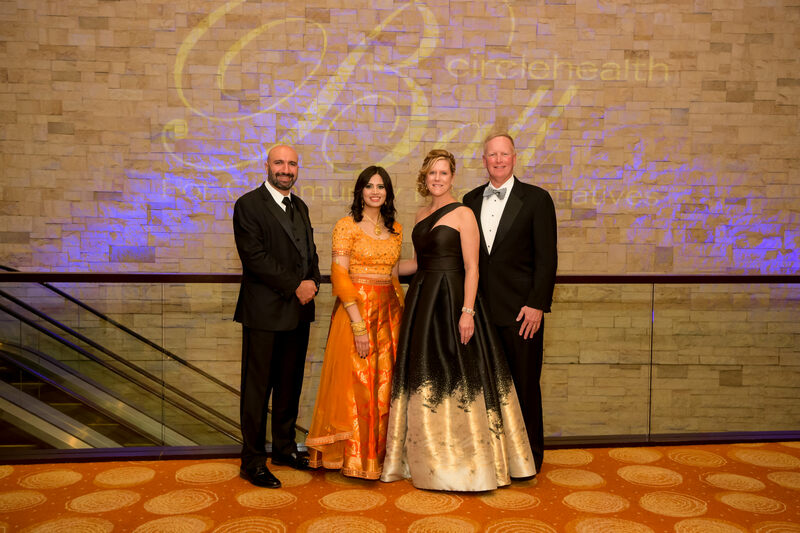 Merrimack Valley residents in need will gain access to healthcare, education, and quality clothing and necessities thanks to more than 600 guests who attended the 14th annual Circle Health Ball for Community Health Initiatives at the InterContinental Hotel in Boston on Saturday, March 9. This year’s event raised more than $426,000 to fund grants for non-profit programs addressing social determinants of health and access to healthy foods, both identified as public health priorities in Greater Lowell. This year’s grants will fund initiatives by the International Institute of New England, Lowell Middlesex Academy Charter School and Project LEARN. In addition to the grants, event co-chairs Dr. Wassim Mazraany, Chief of Surgery at Lowell General, and Dr. Ana Gunturi, Associate Medical Director of Cancer Care Associates, asked guests to contribute to a special cause through a live, “Fund-a-Need” fundraising drive. This year, the recipient is Catie’s Closet, a Dracut-based non-profit that works to improve school attendance by providing in-school resources of clothing and toiletries to children living in poverty. The call for donations was answered in a spectacular way, raising $70,000 for the charity, surpassing last year’s record $50,000 raised for Mill City Grows. The International Institute of New England, a Lowell-based social service agency for new Americans and resettled refugees, will use its grant to support the Refugee Healthcare Initiative, which improves access to healthcare for this population through advocacy and individual case management. The Lowell Middlesex Academy Charter School (LMACS), a small public charter high school that provides a skills-driven, high standards curriculum to at-risk and challenged youth, will fund a health and wellness program called “Empowering Teens for a Healthier Tomorrow.” The program will provide students with an on-site teen health clinic, nutritional consultation, health workshops and yoga. Project LEARN, which works with Lowell Public Schools to fund innovative programs that teach students vital skills for college, career and life, will use its grant to fund scholarships for 40 students to attend its “Got Dirt” IDEA Camp summer workshop to learn about nutrition, harvest students to attend its “Got Dirt” IDEA Camp summer workshop to learn about nutrition, harvest plants and use them to prepare healthy meals with local chefs.